The Everything that you Need to Know about the Canadair CL-415 infographic was created using information obtained from Wikipedia’s “Canadair CL-415” webpage, Bombardier’s “Amphibious Aircraft Status Report,” and Viking Air’s “Viking’s Aerial Firefighter” article. It showcases information on the aircraft’s manufacturer, general characteristics, performance outputs, as well as other key knowledge relative to this aircraft type. The CL-415 is an extremely versatile turboprop aircraft that is well known for its robust capabilities. It was originally manufactured by Canadair until the company was purchased by Bombardier in 1996. The aircraft was developed from the Canadair CL-215 and was specifically built for the purpose of providing aerial support for firefighting missions. It achieved first flight on December 6, 1993, and was introduced into active service in 1994. On June 20th, 2016, the CL-415s type certificate was purchased by Viking Air, who expressed interest in restarting production of the aircraft. Nearly two years later, on May 7th, 2018, Viking Air officially announced the launch of the Viking CL-415EAF (“Enhanced Aerial Firefighter”) Conversion Program in conjunction with its sister company, Longview Aviation Asset Management. This conversion program is considered to be the basis for the future development of the CL-515 amphibious aircraft. For quick reference, an infographic summary is included below the image. 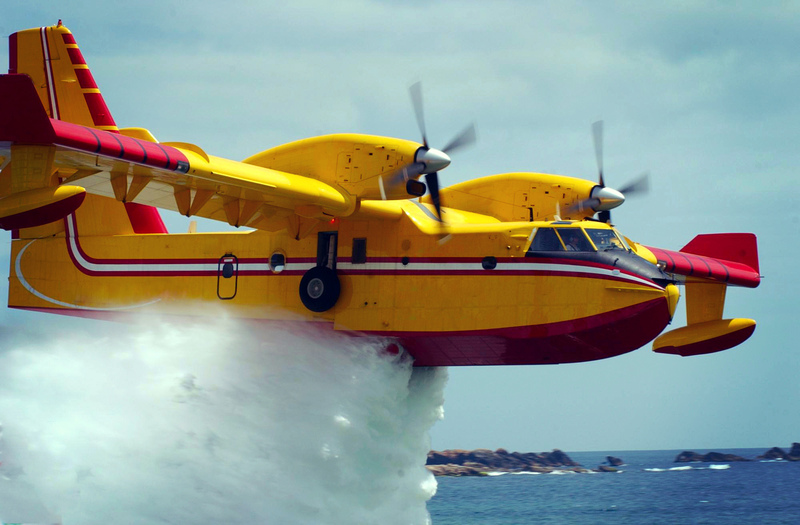 The Canadair CL-415, also known as the Bombardier 415, is a Canadian amphibious aircraft purpose-built as a water bomber. It was designed and built specifically for aerial firefighting. On June 20, 2016, the CL-415 type certificate was purchased from Bombardier by Viking Air. This aircraft offers operators the ability to access sites in remote locations, use unprepared runways, facilitate on-land or on-water interventions, and perform short takeoff and landings (STOL capabilities). First Flight: December 6, 1993. With WinAir, you can streamline and simplify the maintenance activities on the Canadair CL-415, along with nearly any other aircraft. This saves on valuable work hours, which can then be expended on more pressing matters. No matter the size of your operation, or the types of aircraft in your fleet, with latest fully web-based version of the software, WinAir Version 7, you can expect that business processes will be improved upon and that clarity will be established at all levels of your organization. Since the software has been designed from the hangar floor up, meaning that it logically follows industry standards and best practices, you can anticipate that your staff will be able to rapidly understand the software’s workflow and processes. By mimicking actual aviation maintenance work steps, users are able to easily to navigate through the system, resulting in an expedited software learning curve. In order to further assist aviation operations with the administrative duties associated with adopting new software, WinAir offers a variety of additional services including aircraft template building, compliance and data loading, and inventory data import. Organizations taking advantage of these services have found them to be a significant benefit to their organization, both in terms of the accuracy of their results and the time-savings that they produce. In regards to the template building service, WinAir has assembled CL-415 aircraft templates for numerous aviation operations from around the globe. Companies acquiring these templates have seen a significant return on their investment, commonly within an abridged time frame. Would you like to learn more about how your operation will benefit from WinAir? Contact us today for your free business needs assessment!